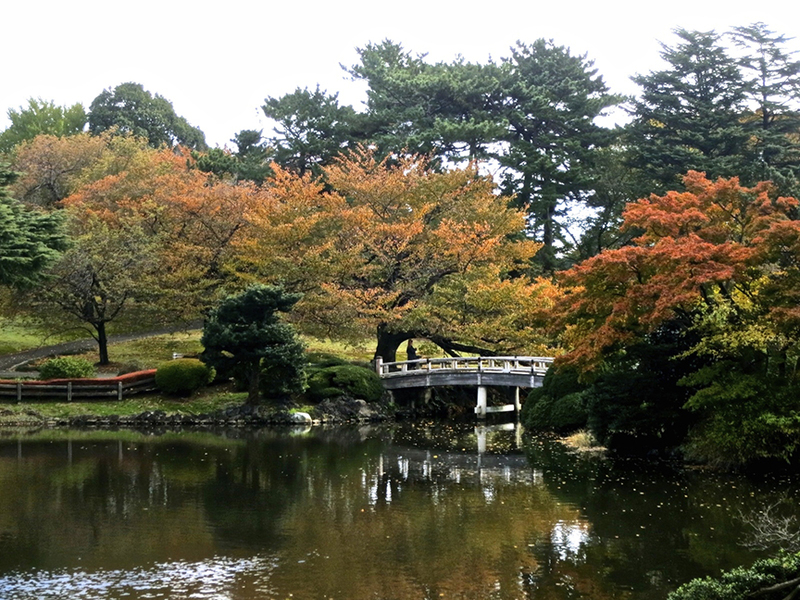 There are many different kinds of momiji in the Japanese garden at Showa Kinen Park, showing off different shades of yellow, orange and red at the same time. 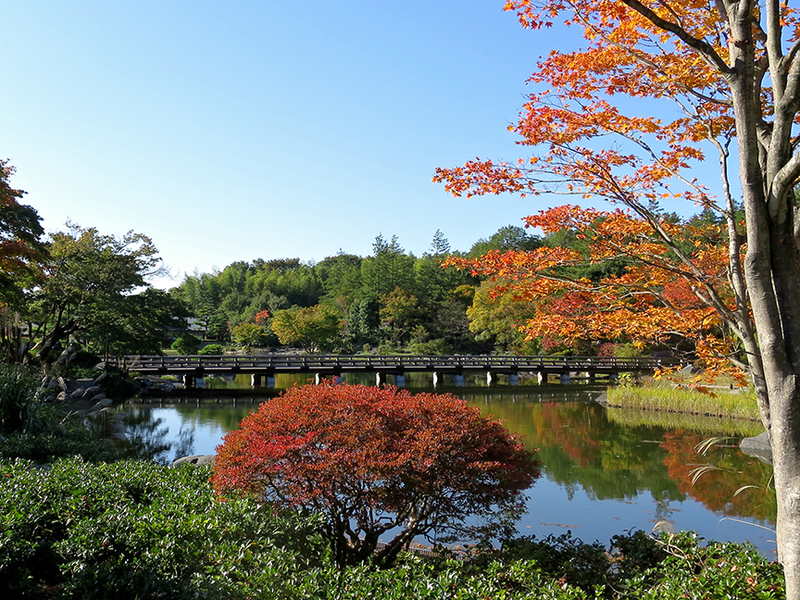 The Japanese maples turn color early in the Japanese garden at Showa Kinen. Look for them in early November. 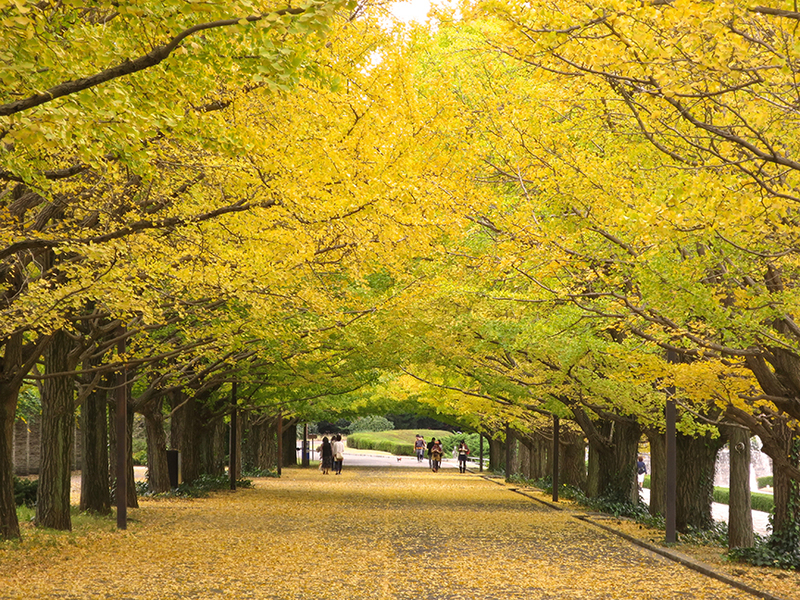 This gorgeous promenade of ginkgo trees hits its peak after the Japanese maples, around mid-November. You can walk under the twin promenades through a tunnel of gold. 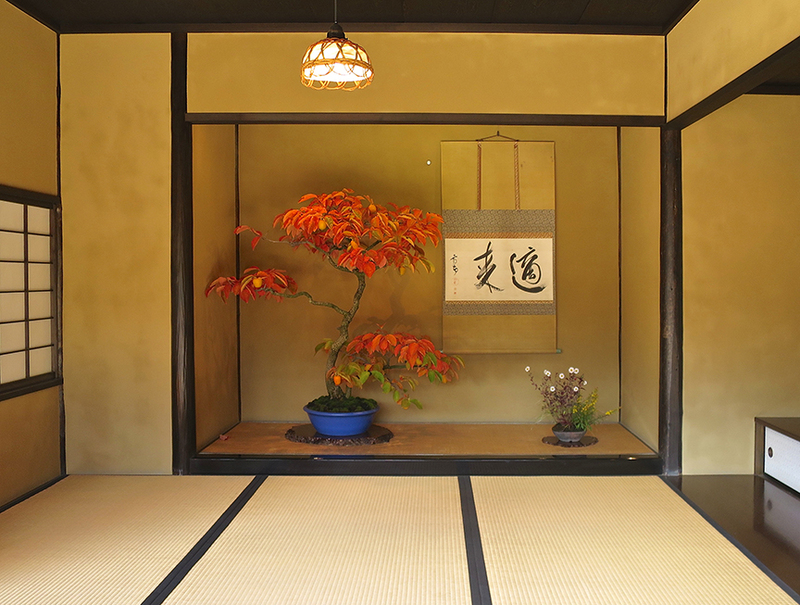 Bonus attraction: There is a really choice bonsai garden within the Japanese garden walls, and this open tea room displays the most spectacular specimens. 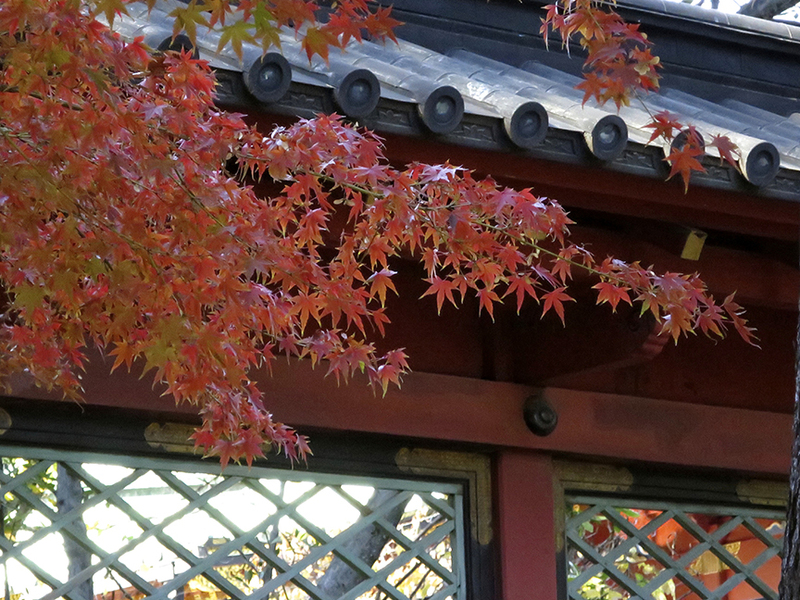 Gotokuji’s wooden pagoda is the perfect backdrop for splendid red and gold maple leaves in mid-November. 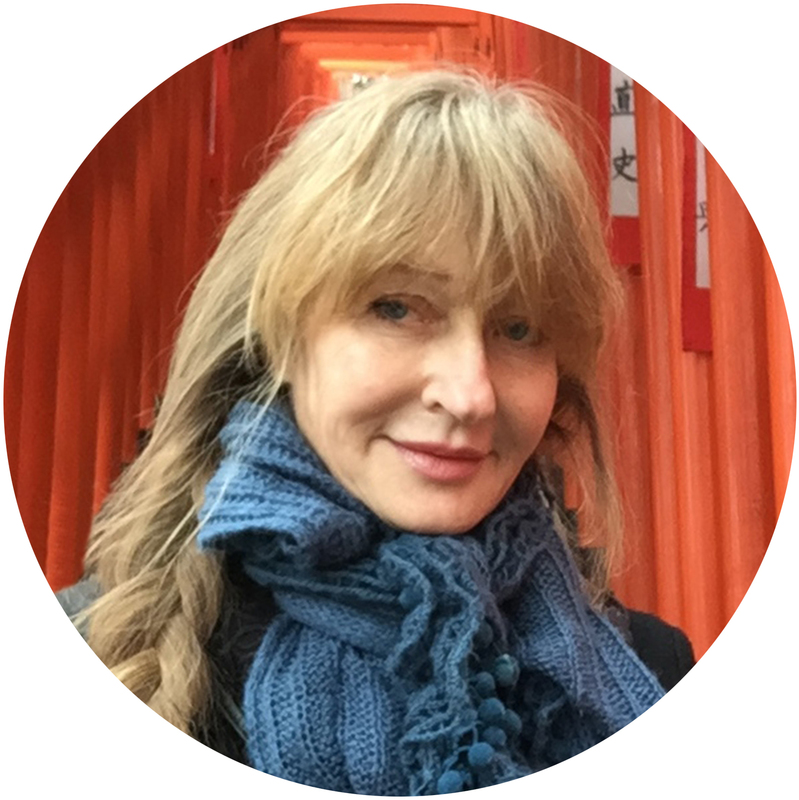 You’ll find them here earlier than in central Tokyo. 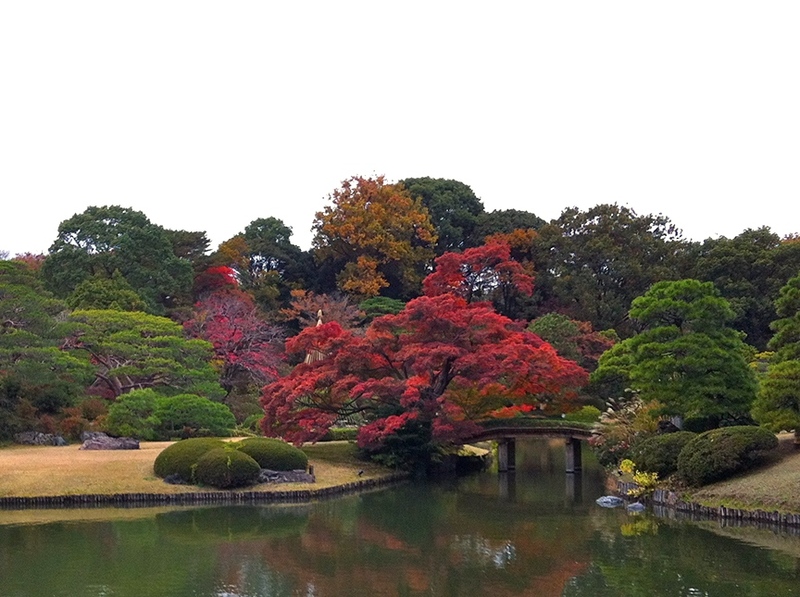 The momiji here turn very satisfying colors of red and orange. 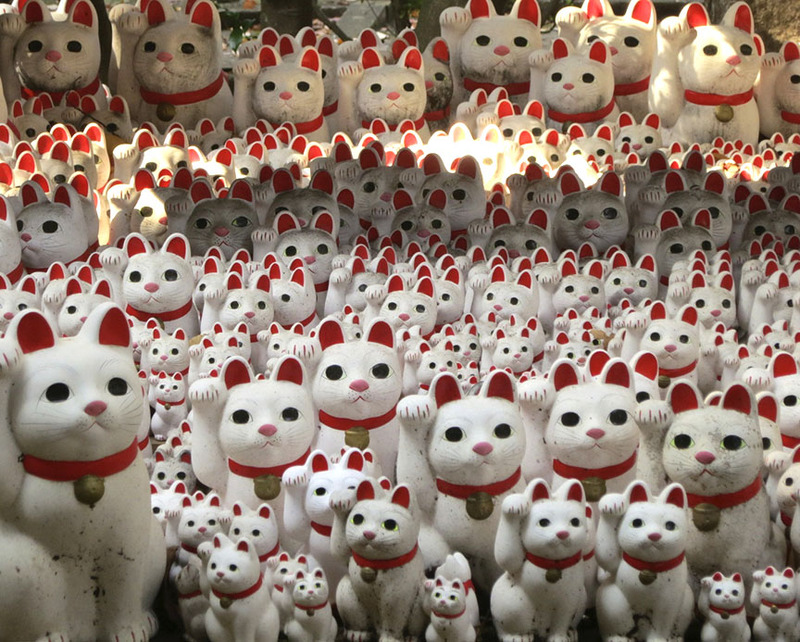 Added bonus: There is a shrine on the temple grounds where thousands of “good luck” maneki neko cat figures have been offered to ensure success in business. 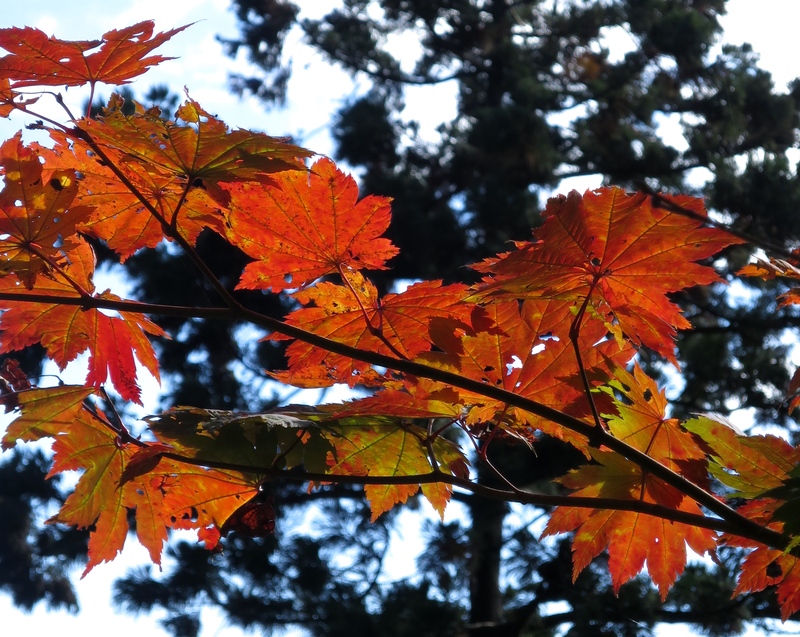 The maples are in full color by the end of November. 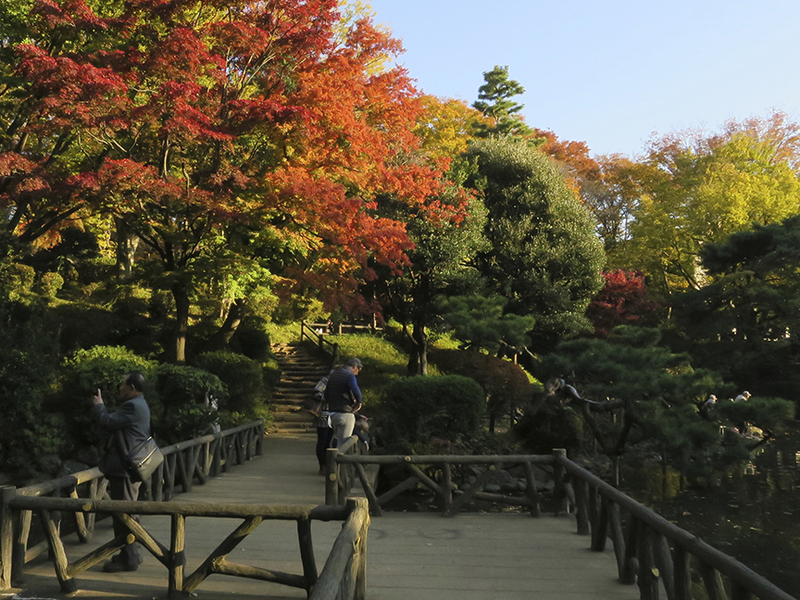 Climb the steps to the shrine all the way at the top for amazing views and leaves. 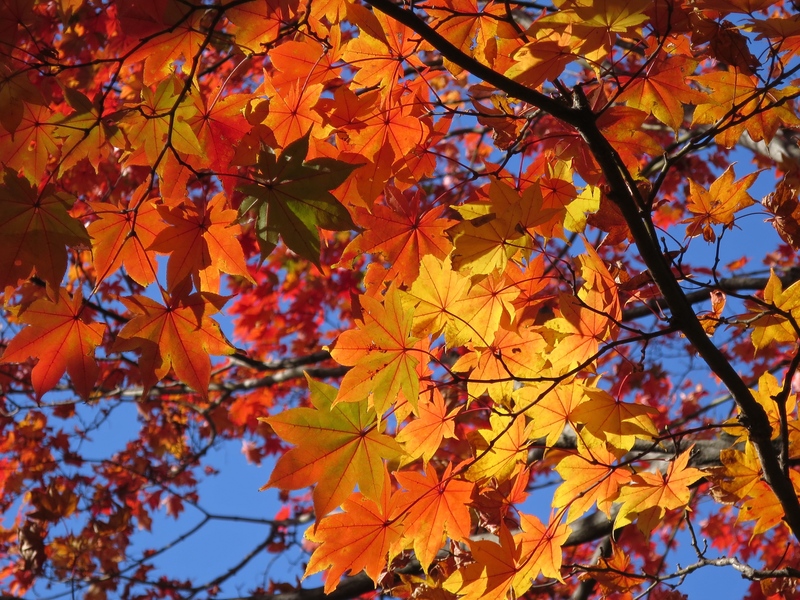 You’ll be amazed by how many different kinds of maple trees there are. 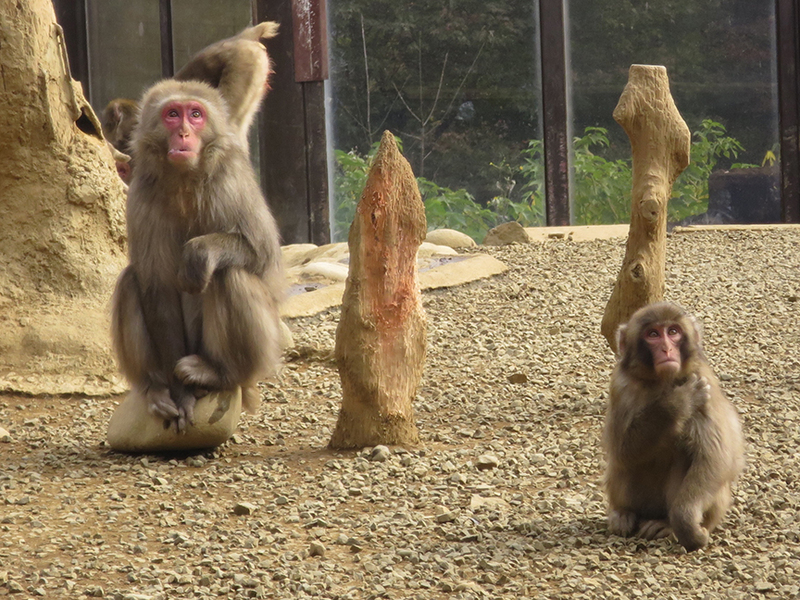 Bonus attraction: there’s a monkey park at the top of the mountain. 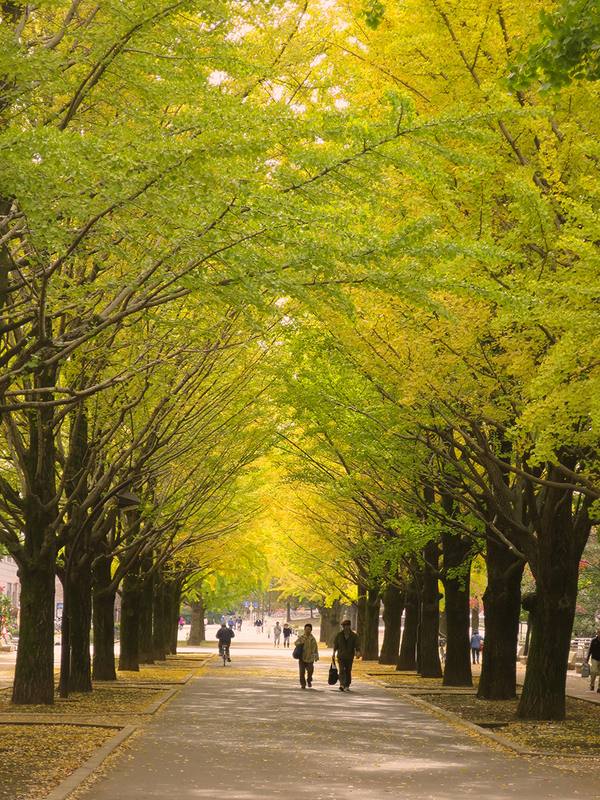 By late November, this famous boulevard is attracting thousands and thousands of camera-happy gawkers every day, but you can still enjoy the trees despite the crowds. 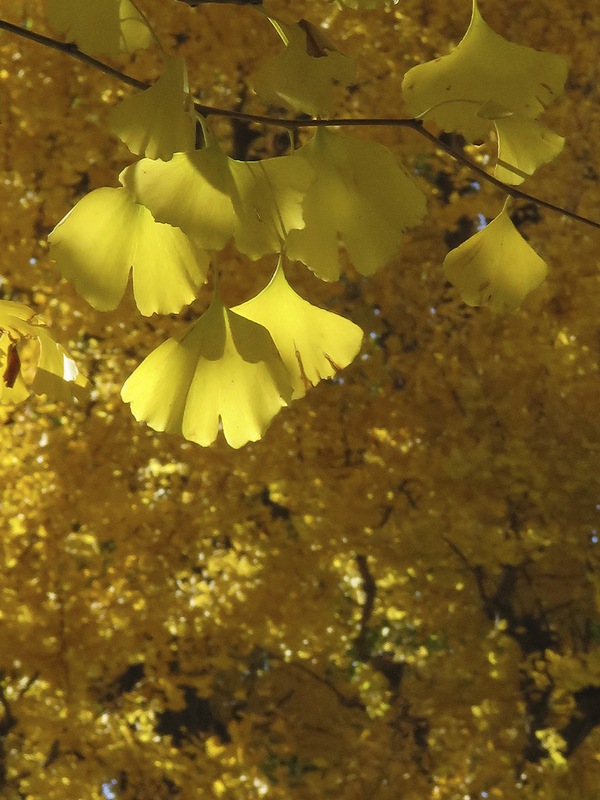 Towering ginkgo trees are bright yellow, starting in mid-November. 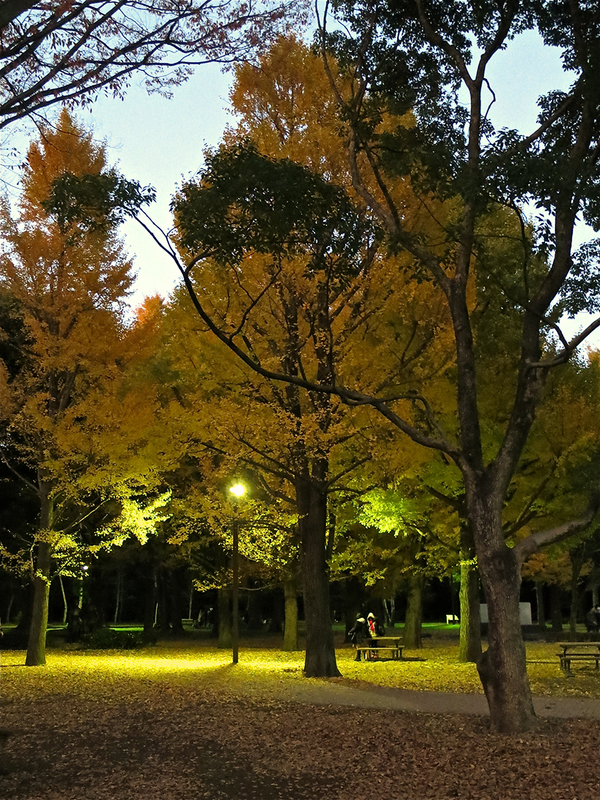 At twilight, you can scuff your feet through a sea of yellow leaves. 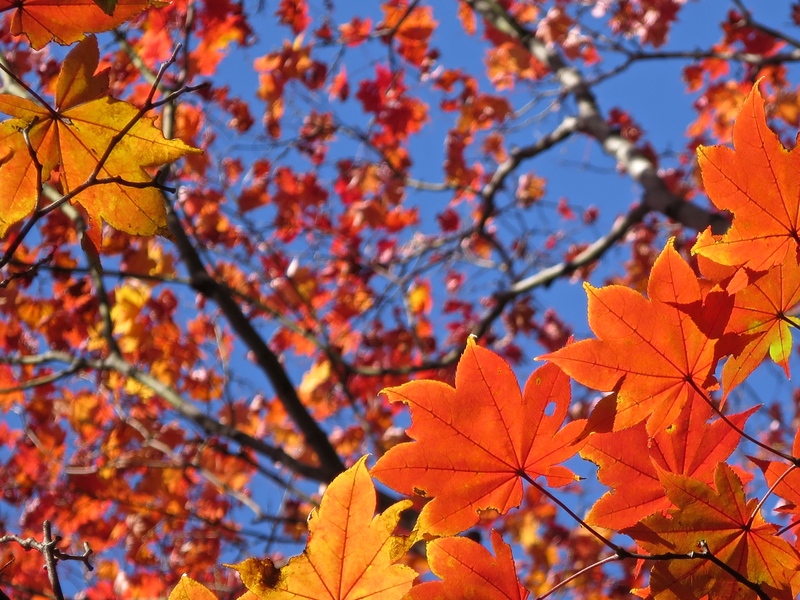 By late November, the maples are turning orange and red. 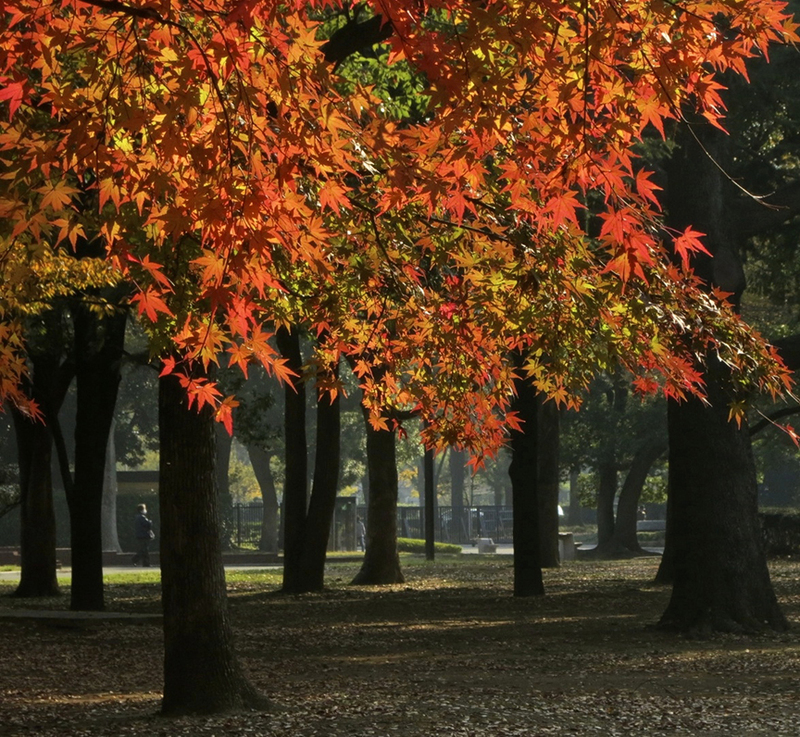 The trees at Yoyogi Park are big – in the fall it’s a forest of yellow and red right in the middle of Tokyo! 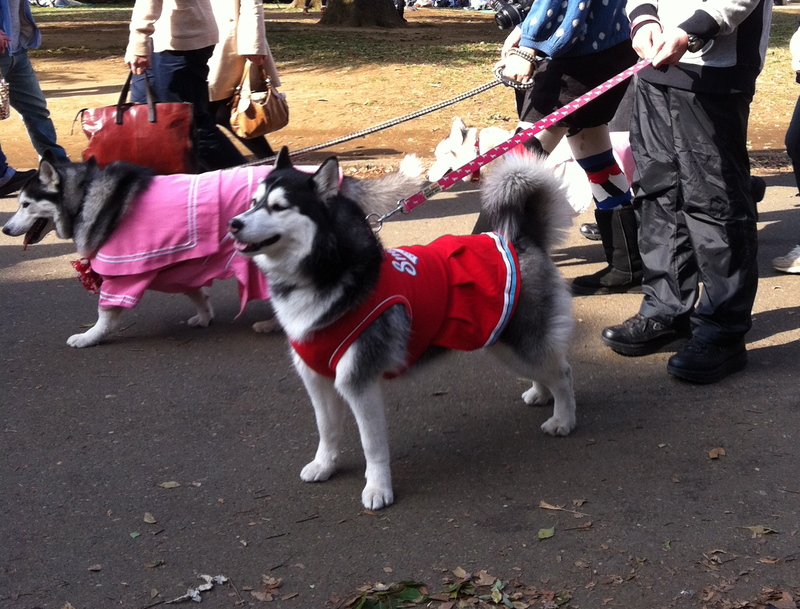 Bonus attraction: Yoyogi Park is home to all kinds of free entertainment every Sunday afternoon, from rockabilly dancing to traditional rakugo to the local husky club dressed in manga schoolgirl uniforms. 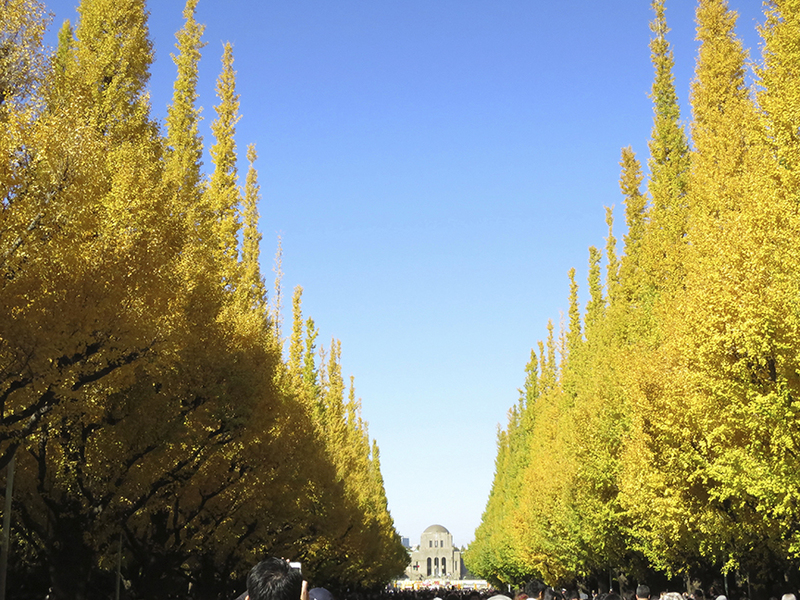 This promenade of ginkgo trees is quite majestic, and extends for several blocks in mid to late-November. 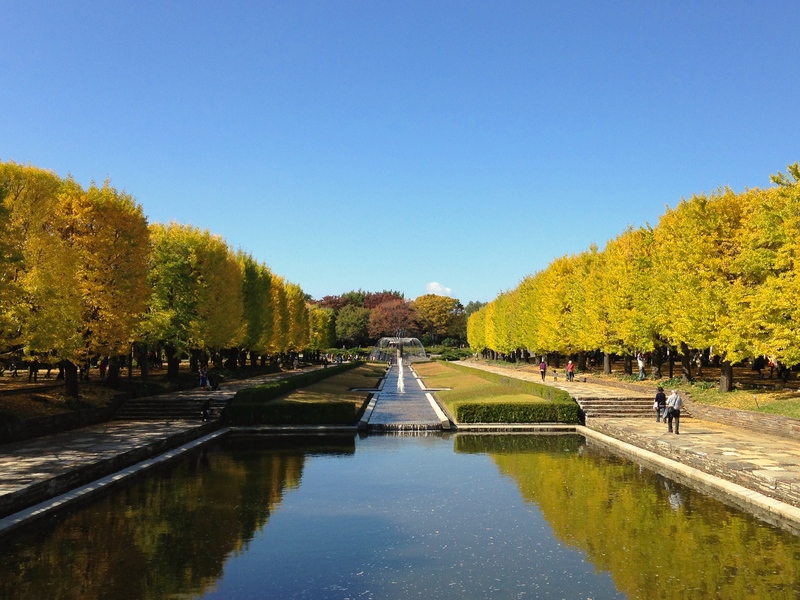 Tokyo University’s gothic buildings are the perfect backdrop for a lovely line-up of ginkgo trees. 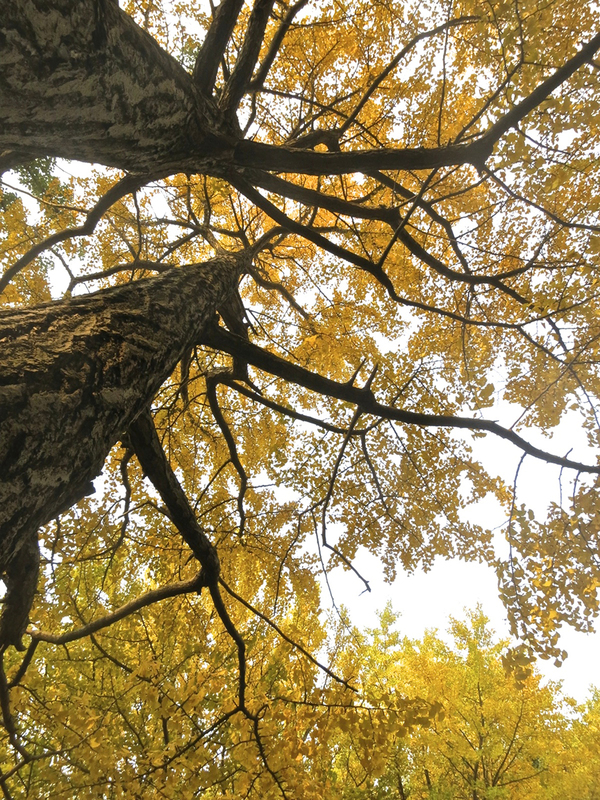 They reach their golden peak in late November, and there’s never a crowd, so you can enjoy a peaceful walk under the canopy. 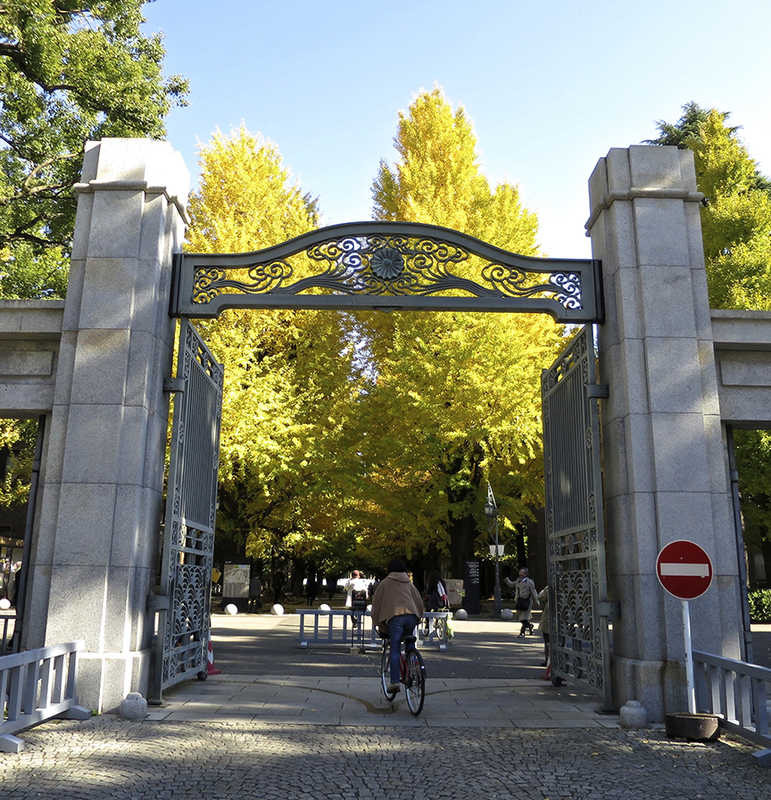 The entrance to Tokyo University is just outside the Todaimae subway station. 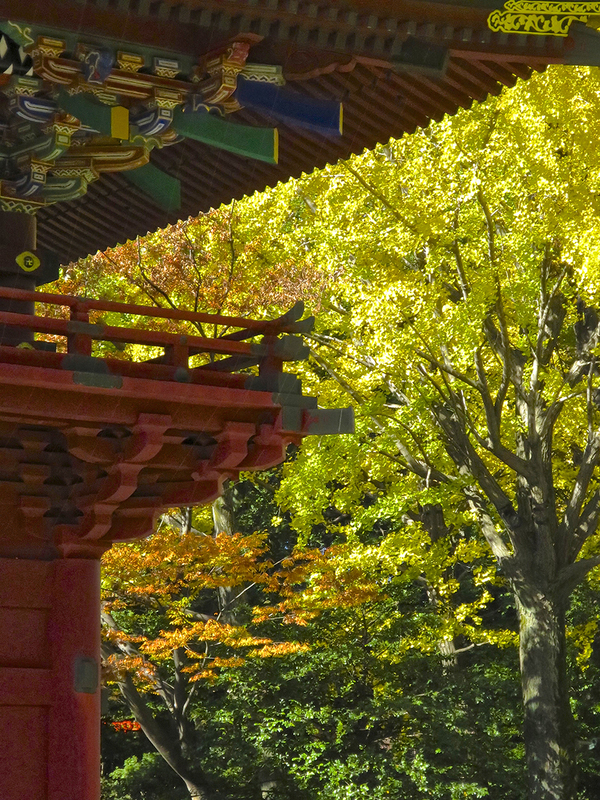 Golden ginkgo trees shade the red torii gate at the Nezu Shrine, starting in mid-November. 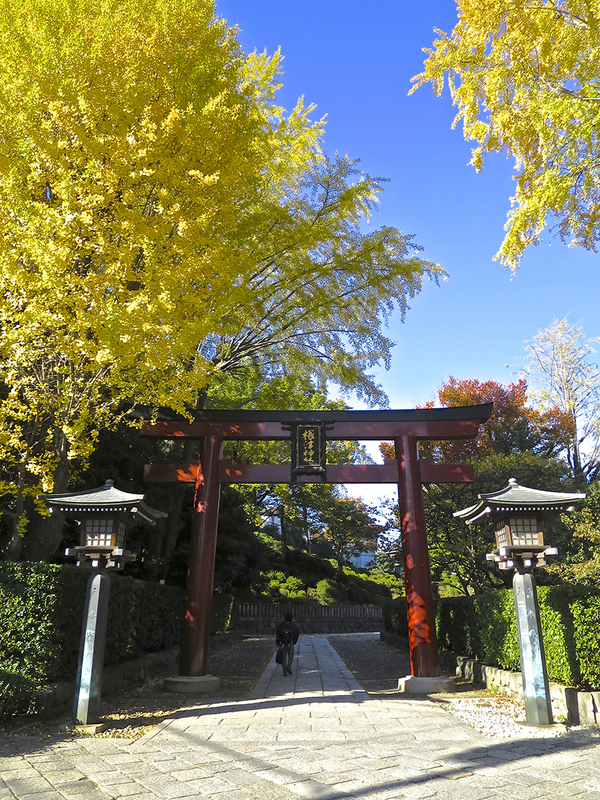 Usually the main gate is the most colorful thing around, but the ginkgos and maples make its red lacquer and gold leaf seem pale in comparison. They’re at their best in late November. 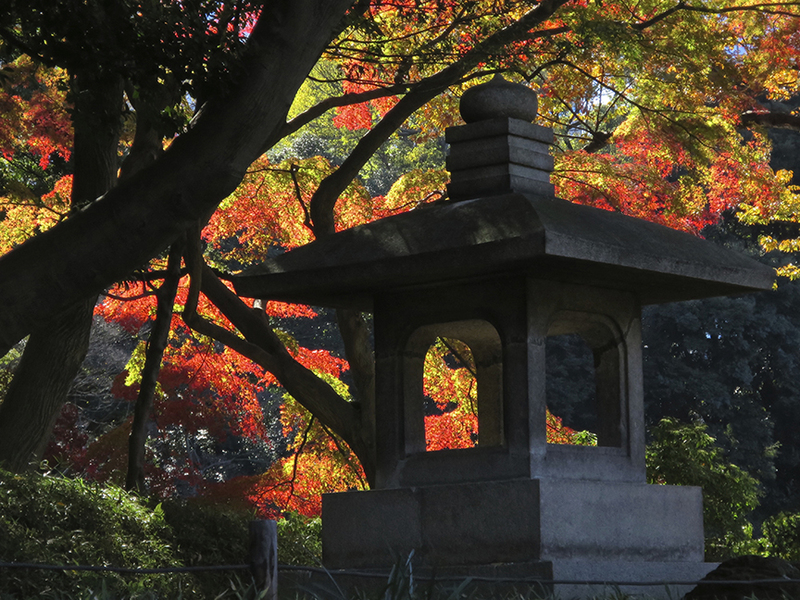 This is my favorite shrine in Tokyo, and autumn is one of the best times to see it. 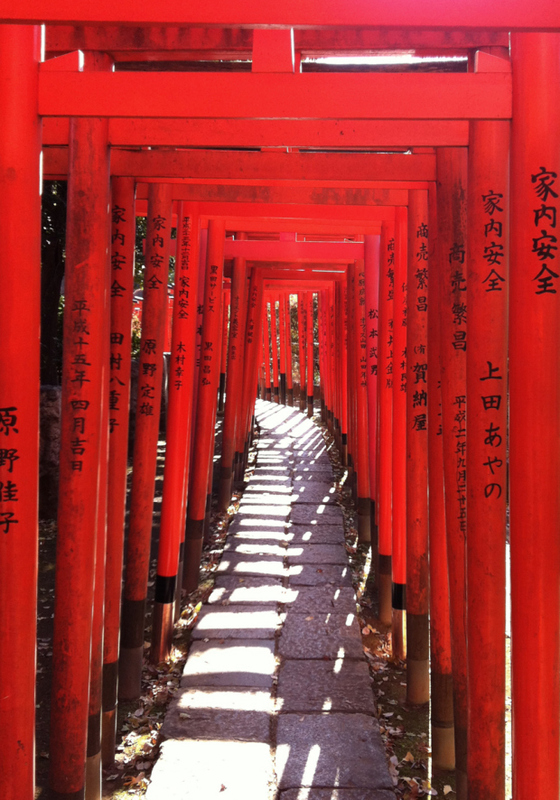 Bonus attraction: you can walk though a glowing tunnel of orange torii gates. 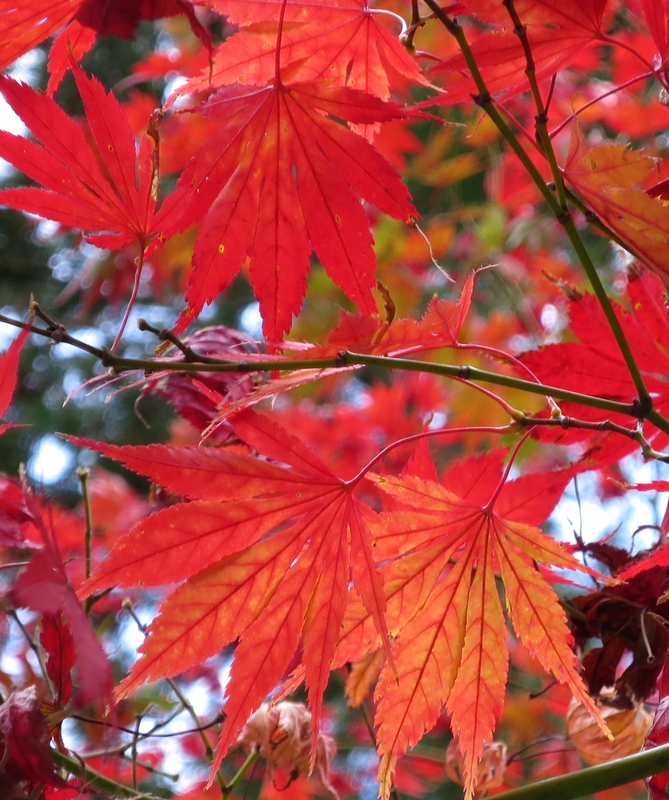 The Japanese maples at Koraku-en Garden are like jewels in a setting of green. They’re at their peak in late November. 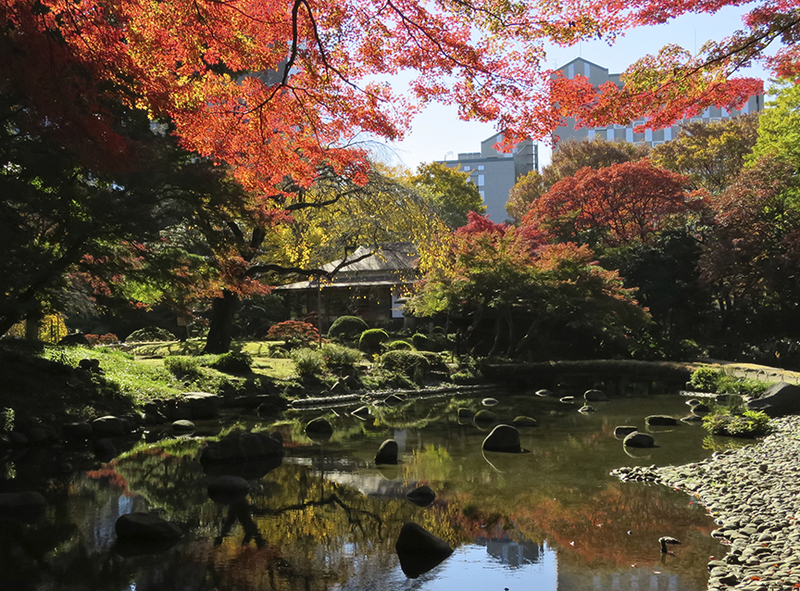 As you wander through the string of lovely gardens that make up Koraku-en, new blazes of color pop up to delight on every side. 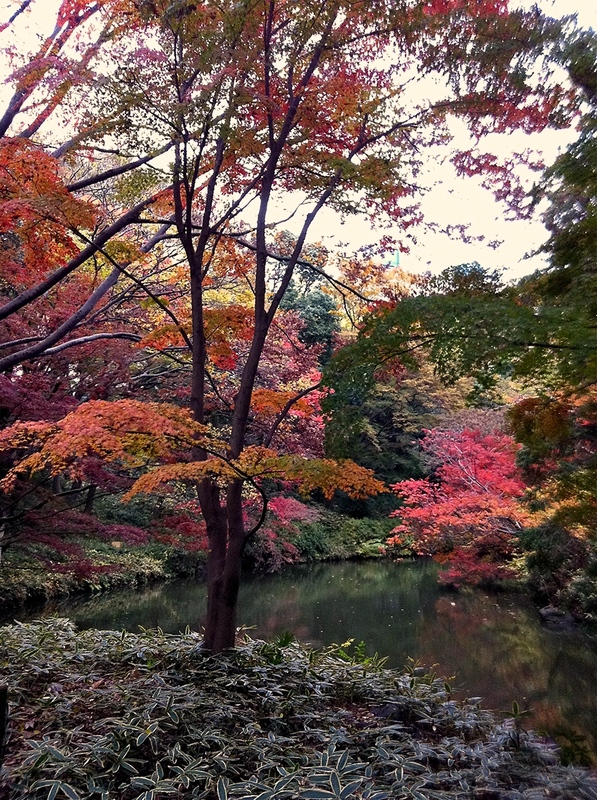 Maples of every color surprise you in each of the sub-gardens. 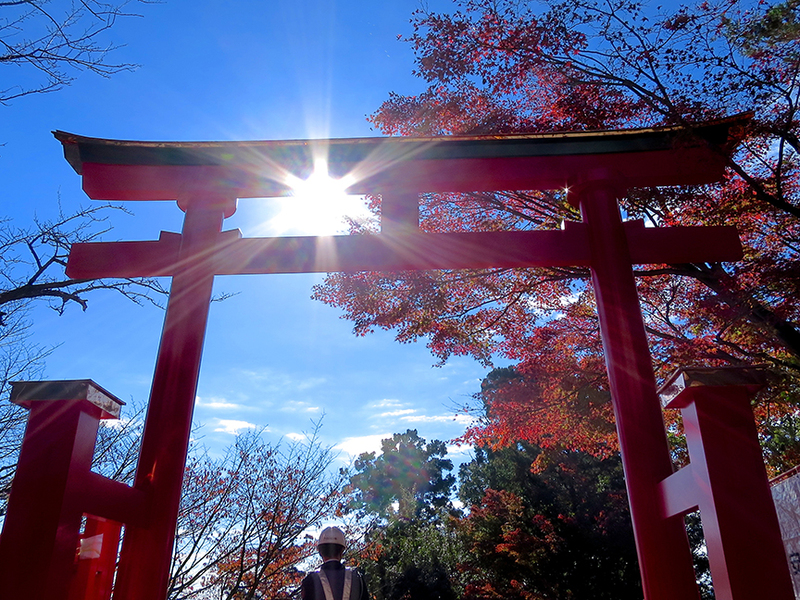 Rikugi-en never disappoints, with its 88 views from famous waka poems. 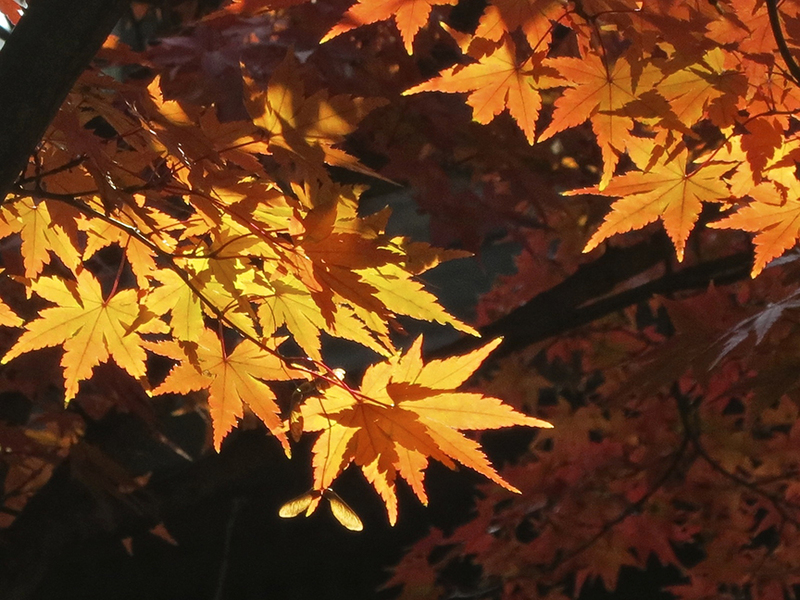 Maple trees flame in all colors of the rainbow in late November. 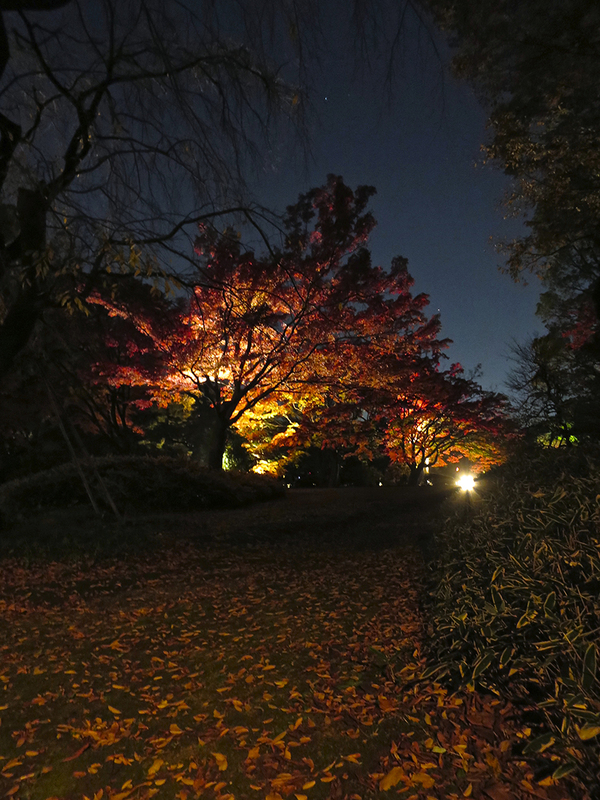 Bonus attraction: From the third week in November through the first week in December, the garden is lit up at night until 9:00 for your leaf-viewing pleasure. 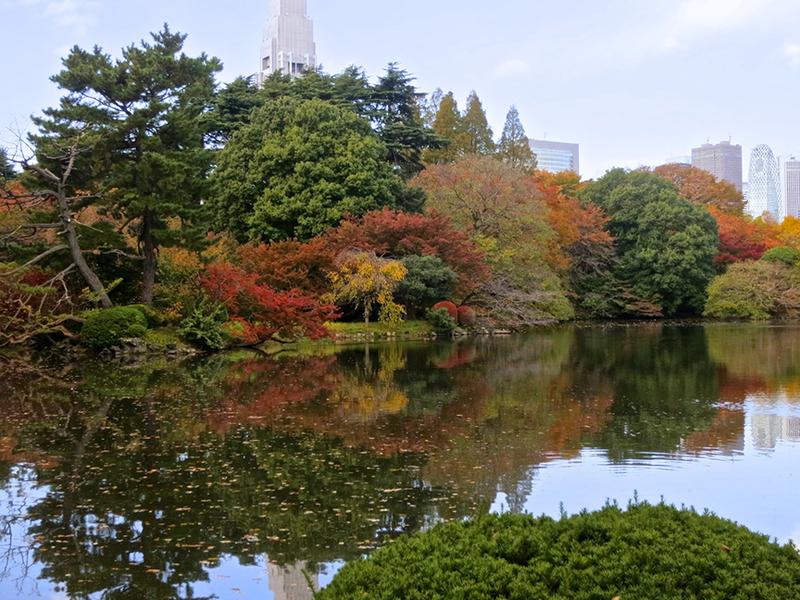 Shinjuku Gyou-en is most beautiful in early morning, when the pond reflects the changing Japanese maples and cherry trees. 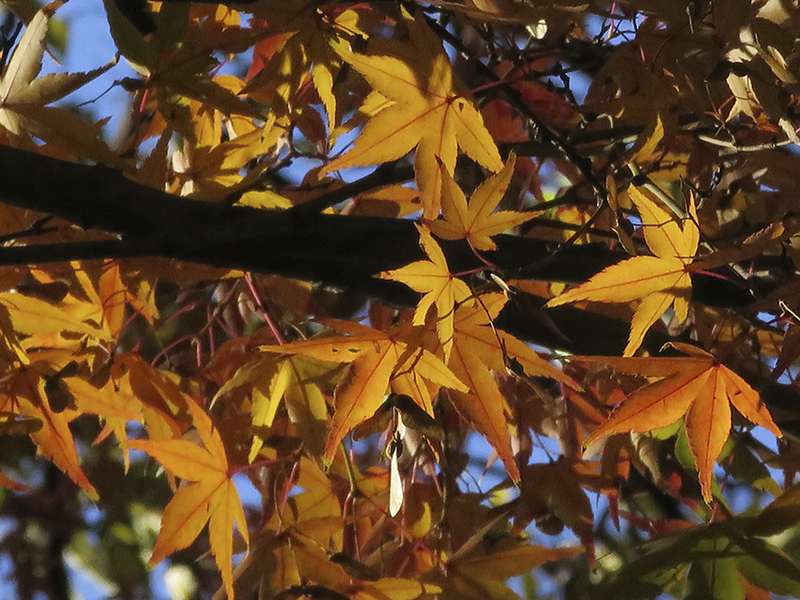 As November moves into December, the garden only becomes more colorful. 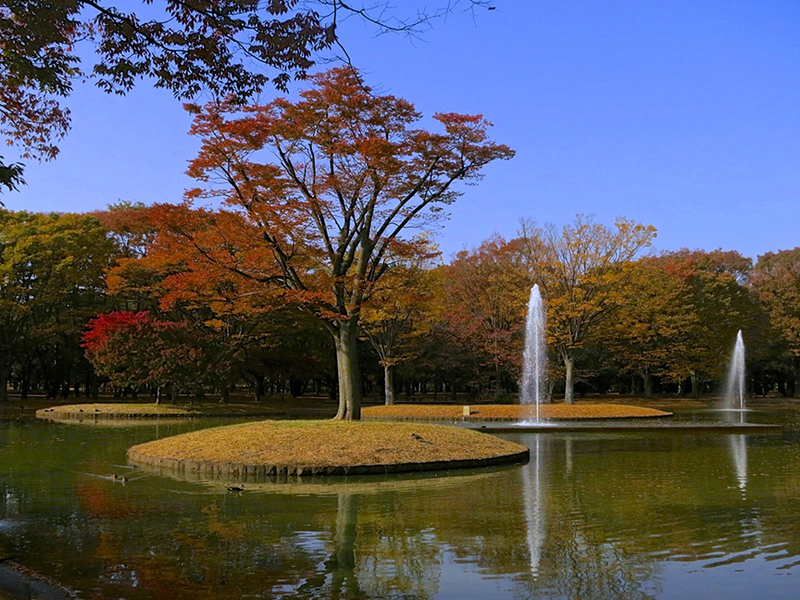 This hidden gem of a park is perfect for a stroll before heading out for a night in Nakameguro, Ebisu or Roppongi. 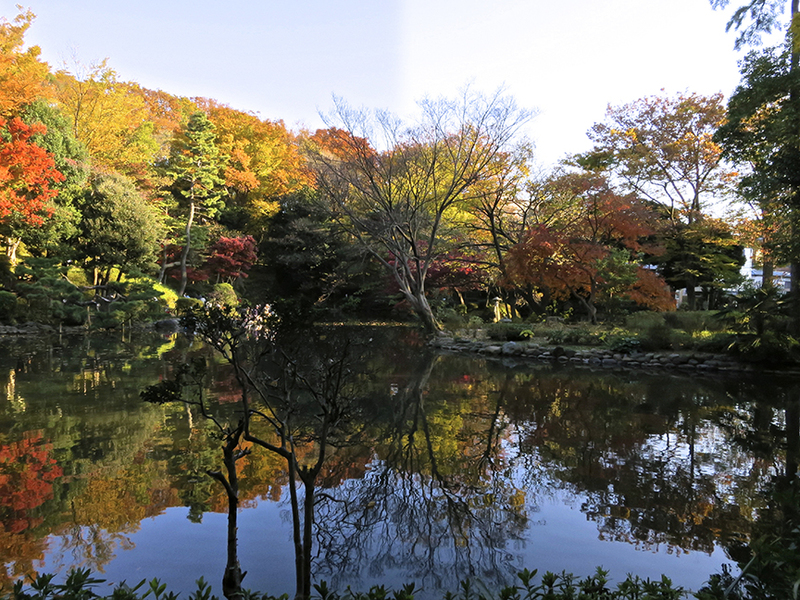 Trees of all colors reflect in the serene pond by mid to late-November. 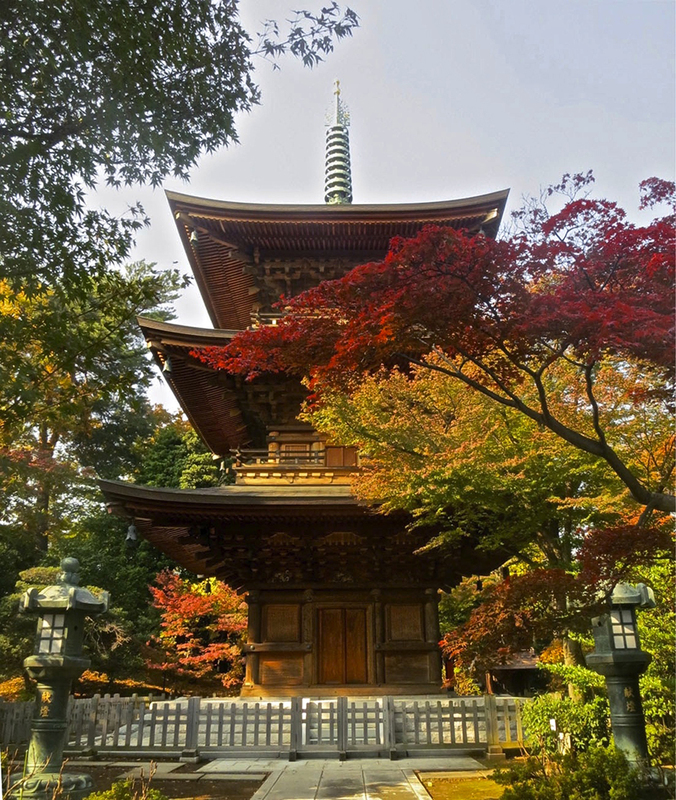 More info and photos of all these lovely gardens and entertaining shrines & temples are on my website, The Tokyo Guide I Wish I’d Had. Arg arg arg! Well, you’ve got four years, right? Surely you won’t ALWAYS be at sea during Leaf Season! Or maybe they’ll let you be ashore during cherry blossoms instead, which feature far more full-bodied partying. heh.